Read an interesting story of the day when Keith Gillespie signed for Newcastle back in 1995. The Northern Irishman didn’t have an agent at the time so his mentor and manager Sir Alex Ferguson acted on his behalf to negotiate his contract to sign for us. Don’t miss out on your £20 Free Bet AND Free £5 Bet every week with ToonBano.com Exclusive Partner William Hill HERE! Gillespie was on around £250 a week at Man Utd and when Newcastle agreed to sell them Andy Cole for £7million, Kevin Keegan insisted on having the flying winger as part of the deal. 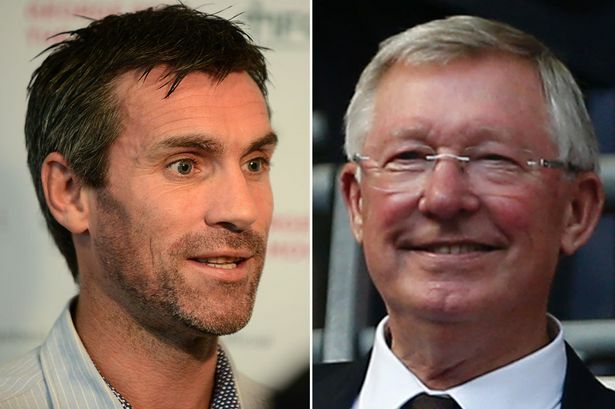 So when Keegan along with some Newcastle directors and Gillespie were set to meet to sort out his contract, Fergie went along too acting on behalf of his Class of ’92 graduate. 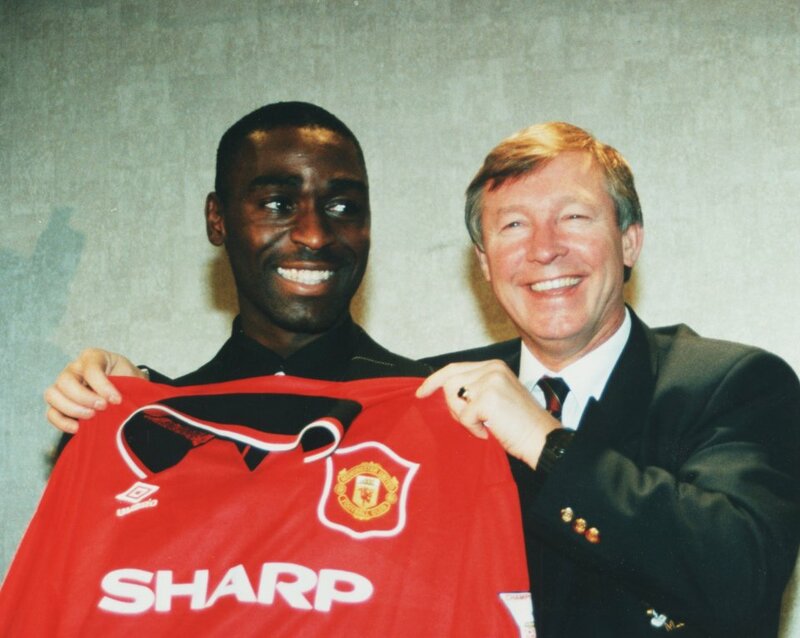 So we lost Andy Cole and got ripped off on Gillespie. Whether this transfer was actually a good thing in the end is up for much debate on Tyneside. After all, without the sale of Cole we would not have brought in Ferdinand. The 95-96 season would never have happened and we wouldn’t have such great memories of Big Les dominating the Premier League to an whisker of us being Champions. Then there’s the other argument of well we didn’t win anything and Man Utd with Andy Cole in their side did end up Champions, he also went on score plenty of goals against us and who knows maybe Gillespie would have kept Beckham out of the team and he wouldn’t be what he is today. Now there’s a thought. Pros and cons on both sides but fact is facts and what happened, happened. Good or bad. What wasn’t a fact was how much Fergie told us Gillespie was on and indeed ripped us off. Fergie telling porky pies and getting away with it…now that’s a fact. Rafa would agree. Mitro’s On Fire! This Is Rafa’s Team To Burn Up Brentford Tomorrow! We have had enough of Diame playing as the No.10 over past couple of months. He can’t finish or create so what’s the point? Mitro has been chomping at the bit to get out there and play, so since he bagged a brace for Serbia the other day, Rafa must surely let him loose against Brentford. The team below is capable of taking all 3 points and edging us closer to the top of the league! Don’t miss out on your Free £20 Bet AND Free £5 Bet every week with ToonBano.com Exclusive Partner William Hill HERE! Christian Atsu scored the winner versus Rotherham so would be unlucky not to start, however Ritchie is first choice and Gouffran hasn’t been on the losing side yet all season. That’s some record. Follow me on Twitter @ToonBano and Don’t miss out on your Free £20 Bet AND Free £5 Bet every week with ToonBano.com Exclusive Partner William Hill HERE! Author The Ginger PirloPosted on October 14, 2016 October 14, 2016 Leave a comment on Mitro’s On Fire! This Is Rafa’s Team To Burn Up Brentford Tomorrow! Rafa got his skills out in training as he attempts to teach Mitro a thing a two on how to take somebody on. He pretty much burns him alive to the point he’s on fire…well, hopefully for Saturday! Don’t miss out on your Free £20 Bet AND Free £5 Bet every week with TheGingerPirlo.com Exclusive Partner William Hill HERE! Mitro scored a brace for the Serbs in International week so is red hot at the minute and raring to go, despite being mugged off by Rafa. Our Spanish boss will surely now release him into the wild against Brentford on Saturday as we finally play with two strikers on the pitch from the start. We have been subjected to Diame playing in the hole for most of this season and it hasn’t been a success, despite the team winning most games in the end. We currently sit 3rd in the league which isn’t a great return after 11 games giving the poor standards of the Championship in relation to our squad. Sticking Mitro up front with Gayle is surely the way forward from now on, especially at home….even if he gets burned now and again! Follow me on Twitter @ToonBano and Don’t miss out on your Free £20 Bet AND Free £5 Bet every week with TheGingerPirlo.com Exclusive Partner William Hill HERE! Return Of The Killer Clown On The Streets Of Derby! Derby County are insane. They have finally parted company after weeks of delay with the strange Nigel Pearson, they then interview candidates to take over the task of promotion to the Premier League and have decided on their man. That man is….Steve McClaren. Erm…what? Don’t miss out on your Free £5 Bet every week with TheGingerPirlo.com Exclusive Partner William Hill HERE! Not only did he completely fail in his 6 months at NUFC by relegating the football club after huge funds were spent on the team, he failed to bring promotion to Derby County the season before. He was sacked after finishing outside the play-offs, despite topping the table at one stage with promotion looking guaranteed. They imploded beyond repair and he rightfully got the boot. He then somehow managed to swindle himself a Premier League job with us off the back of this disaster, in which the team he was in charge of didn’t even have time to implode as they were useless pretty much from day one. Why in the hell Derby have decided to go back to this man is beyond any reasoning whatsoever. Why the hell would you go back to the man who proved he wasn’t up to the task of promotion, when a club like Derby would have a long list of potential suitors? It would be like us hiring back McClown after Rafa, if he for some reason departed St James’. Mental. There is a craze around at the minute of clowns wandering around the streets and scaring people…the streets around Pride Park is the scariest one yet. Do the Derby County directors have no memory to speak of or have chosen to bury their heads in the sand? Talk about Ostriches eh Nigel…? Follow me on Twitter @ToonBano and Don’t miss out on your Free £5 Bet every week with TheGingerPirlo.com Exclusive Partner William Hill HERE! Author The Ginger PirloPosted on October 12, 2016 Leave a comment on Return Of The Killer Clown On The Streets Of Derby! The Ginger Pirlo Create a free website or blog at WordPress.com.